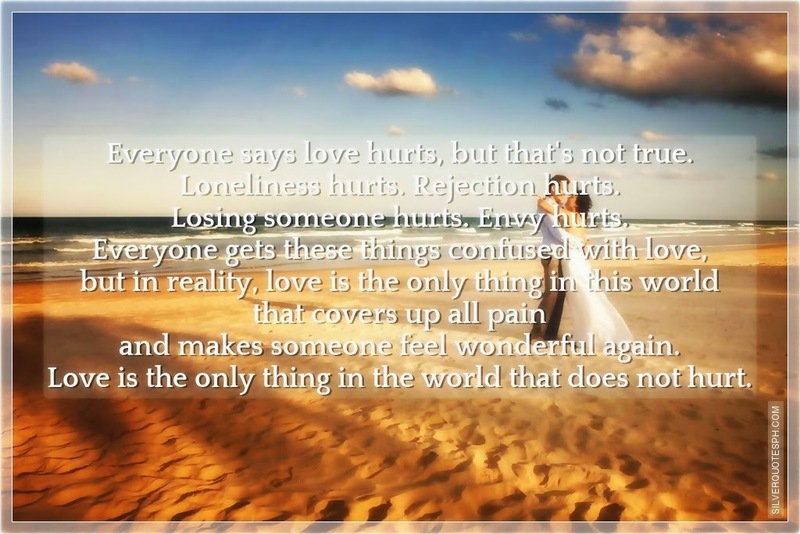 Everyone says love hurts, but that's not true. Loneliness hurts. Rejection hurts. Losing someone hurts. Envy hurts. Everyone gets these things confused with love, but in reality, love is the only thing in this world that covers up all pain and makes someone feel wonderful again. Love is the only thing in the world that does not hurt.